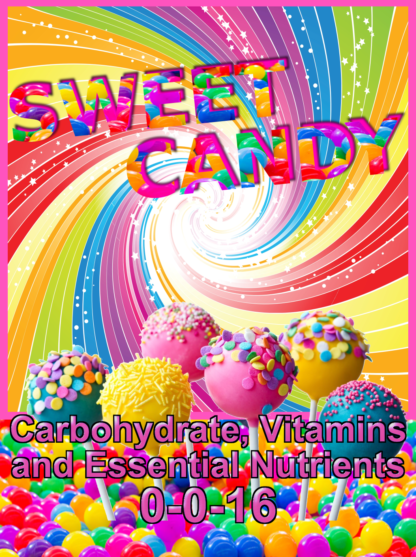 Sweet Candy is a premium, full flavor, aroma and yield enhancer … and carbohydrate source all in one! 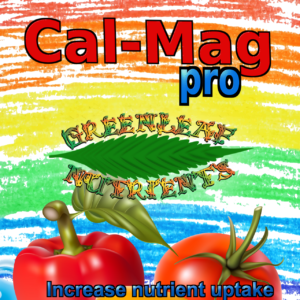 Promotes bolder terpenes, scent, root zone health, beneficial bacteria and vibrant plants. 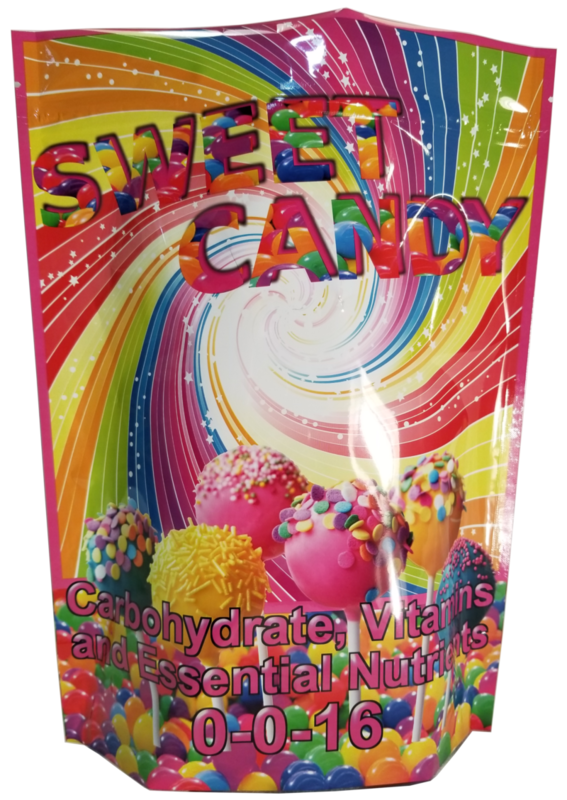 Contains several different types of carbo sources, 20 amino acids, 70+ vitamins and minerals, isoflavonoids, anthocyanins, polyphenols, tannins and isoterpenes for superior aroma, potency and heavy yields. 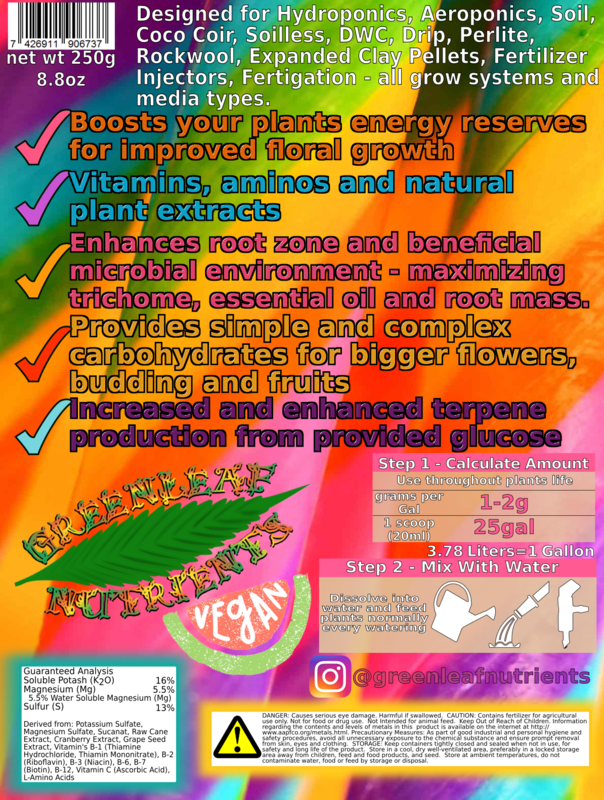 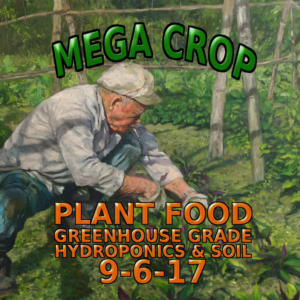 Sweet Candy also enhances the root zone for optimal beneficial bacteria and fungi growth to help benefit and protect your plants.